Published on April 22, 2013 by Martyn. Be the first to comment! 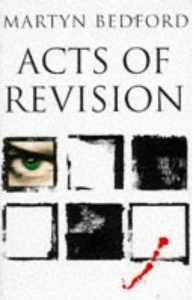 So, I was surprised and mightily pleased to find it included in a list of “all-time favourite stories on the theme of revenge”, submitted by members of the American BookRiot website. That Acts of Revision made it on to the list was flattering enough but, even more so, was to see my name sitting side by side with the likes of Euripides, Alexandre Dumas, Honore de Balzac, Victor Hugo, Emily Bronte, Herman Melville, Ken Kesey, Stieg Larsson, Gillian Flynn, Ian McEwan and Colleen McCullough. Oh, and Shakespeare. To link to the full list of revenge-themed works of fiction on the BookRiot blog, click here.